French, born in 1940 in Jura. 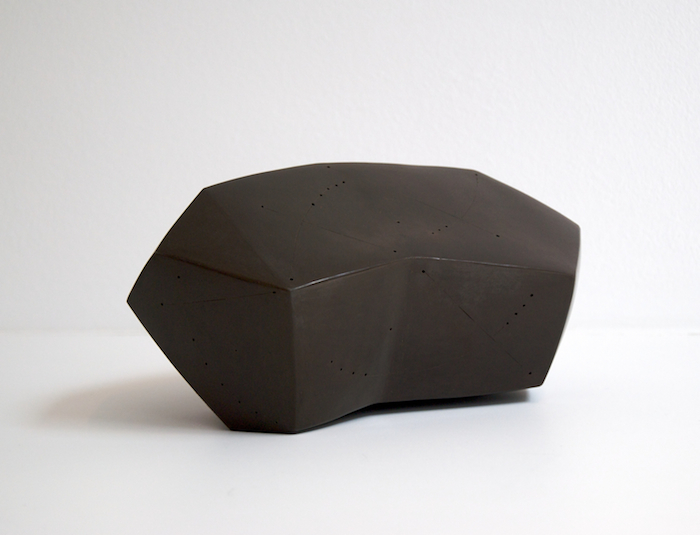 Nadia Pasquer set up her ceramic workshop in 1974 after a study in applied arts. 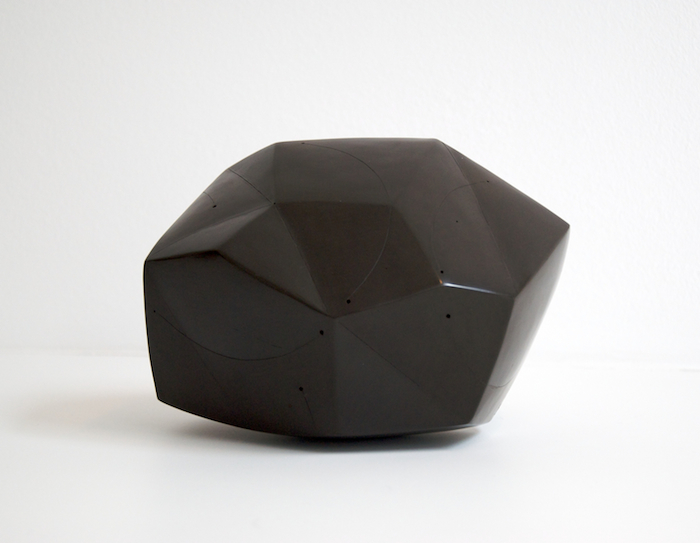 Drawing on a fascination for geometry and Platonic solids, the work of Nadia Pasquer is a series of black or white declinations and variations of different volumes. Her ceramics have neither front nor back, neither top nor bottom. They rest on their sides, inviting manipulation, contemplation, and observation from a multiplicity of view points. Each volume features a unique engraved pattern, which embeds the presence of mystical objects upon their polished surfaces.